Little in Jamaican music is clear. Smoke and mirrors doesn’t begin to cover it. Any fans of Ska, Rocksteady and Reggae will be well versed in multiple releases of the same song, by the same artist on differing labels. Then, to cap it all, those that played the records often scratched the labels off so that those listening in for rival sound-system would be unable to identify the most popular records on the dancefloor. Underhand deals, backstabbing (sometimes literally) and clashes were common. 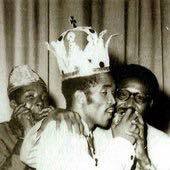 The most famous of these ‘musical wars’ in Jamaican music of the early sixties was between Cecil Bustamente Campbell, better known as Prince Buster and Derrick Morgan dubbed ‘The Ska King’. 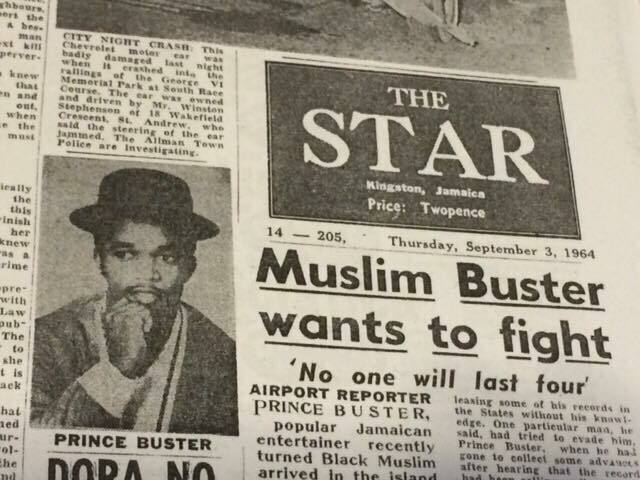 Prince Buster hewn from the mean streets of downtown Kingston was a real life Rude boy, a street fighting tough whose pugilistic talents were utilised at Coxsone Dodd’s Downbeat Sound System at dances. Never one to shy away from confrontation he left Coxsone’s stable in 1961 and established his own Sound System; The Voice of The People, with the aim of dethroning the three recognised leaders in the sound system business at the time; Coxsone, Duke Reid (The Trojan) and King Edward The Giant. Amid the faint whiff of corruption, he so very nearly fell at the first hurdle when immigration stopped his attempt to buy American records via the Farm Work Programme to play on his system. His competitors knew he would have been a serious threat to them, so perhaps ‘interference’ was inevitable. Buster if nothing else was a fighter, so he moved into recording and producing and created his own music to play; producing successful hits for not just himself but Eric ‘Monty’ Morris, Owen Grey and his soon to be arch-rival Derrick Morgan. Derrick Morgan was a couple of years younger than Buster and after a modest but comfortable upbringing and schooling (compared to Campbell at least) he went on to win several talent shows with his singing leading to a success in the late 50’s on a couple of discs recorded with Duke Reid. 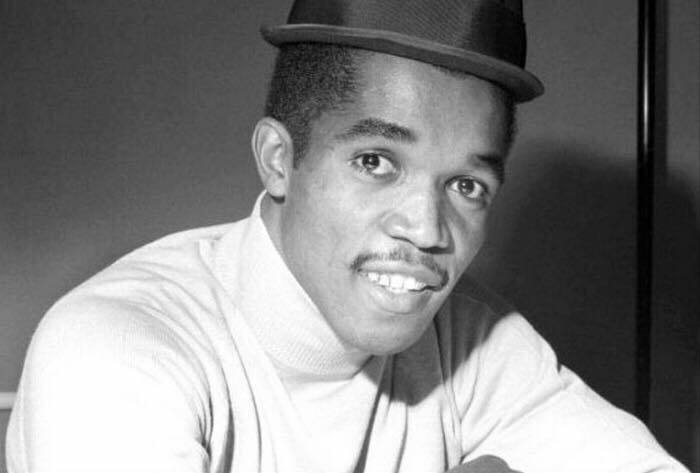 Not long after these recordings Derrick met Prince Buster and excited by Buster’s fledgling outfit seized on the opportunity to record Shake A Leg and Come On Over with the Prince, however, shortly after Derrick decided to move to aspiring Jamaican-Chinese producer Leslie Kong who at $20 a song was paying twice as much as Campbell at his Beverley’s studio not 100 yards further along Orange Street, a move that infuriated Buster and led to a bitter feud between the pair. The acrimony exploded when Morgan recorded a hugely successful record for Kong called Forward March, with Buster accusing him of plagiarising the saxophone solo. Clearly stung Morgan responded vehemently with Blazing Fire (which allegedly starts with the phrase ‘Shut Up Fool’ spoken in Chinese) “You said it, I am a blazing fire, you said it, I am a blackhead Chineyman, but when I was with you, I was like a bull in a pen. Live and let others live and your days will be much longer”. Morgan hit back again immediately with ‘No Raise No Praise’ stressing “You also said I’m getting praise and no raise. Don’t conceal it friend to tell the public I was singing for you and I neither get praise, much less raise”. It wasn’t just the two artists that were getting involved – rival gangs of Rude boys were getting on board (no doubt goaded on by the main protagonists) and actual pitched battles were taking place at the Sound System jump ups and even politicians were starting to get involved in the unedifying spectacle. There were a few more exchanges such as Buster’s 30 pieces of Silver but it wasn’t until Buster threatened to release a song called Chinese Jacket which explicitly named Morgan, that Morgan warned Buster that should he proceed, he would release one with the lyrics “Buster while you were at sea, I was alone with B (Blossom Buster’s wife) and all your children have the mark of the Blackhead Chinaman”. Getting pressure from at home and now the newly formed Jamaican Government as disputes between rival fans had grown to such seriousness that they were forced to intervene in the feud and cease the rivalry. They arranged for both men to be pictured together in a friendly manner and publicly declare that despite the rhetoric in the songs the two were actually best of friends. Whatever the reason the musical war quietened down and the exchanges thereafter were more humorous in tone. Morgan’s Rude Boy in court tune Tougher Than Tough was followed by Buster’s smash-hit Judge Dread “You tell me Rude Boy never fear?” echoing a line in Tougher Than Tough… before summarily sentencing him to 400 years. Morgan responded with Judge Long Sentence, before Buster got the last words in with the conciliatory The Appeal and then finally Barrister Pardon. 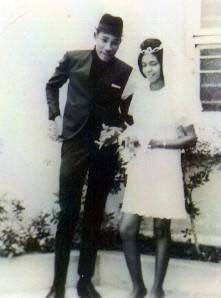 In later years, it was said that this musical war was just a friendly one designed to generate interest in their recordings and boost record sales through the controversy that it triggered, but with the vitriol of the early exchanges it seems unlikely, but like much in Jamaican music it is hard to know where the truth lies. 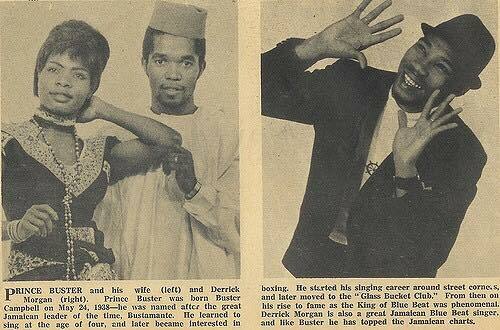 What is true though is that Derrick Morgan went on to record many more tunes for Prince Buster’s labels after the cessation of hostilities. What is also true is that both men have left an amazing legacy of tunes and the tunes involved aresome of the finest of the early Ska era.